Facing his demons in his first year of sobriety, Matthew Scudder finds himself on the trail of a killer. When Scudder's childhood friend Jack Ellery is murdered, presumably while attempting to atone for past sins, Scudder reluctantly begins his own investigation, with just one lead: Ellery's Alcoholics Anonymous list of people he wronged. One of them may be a killer, but that's not necessarily Scudder's greatest danger. Immersing himself in Ellery's world may lead him right back to the bar stool. 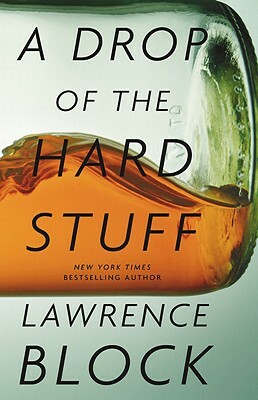 In a novel widely celebrated by critics and readers, Lawrence Block circle back to how it all began, reestablishing the Matthew Scudder series as one of the pinnacles of American detective fiction. Lawrence Block is a Grand Master of the Mystery Writers of America, has won multiple Edgar and Shamus awards and countless international prizes. The author of more than 50 books, he lives in New York City. "Powerful...Block's pitch-perfect prose bolsters the elegiac plot. Accessible to first-timers, this book should add many more fans to the author's considerable following."